Believe it or not, another year has come and gone and we’re in the midst of the tax and audit busy season. Between long travel days, 60 hour weeks, and Saturdays at the office, it can seem like this is the wrong time to continue (or start) studying for the CPA Exam. The CPA Exam is your ticket to becoming an elite accounting professional within the field of accounting, and despite a hectic schedule, it is possible to start or continue studying for the CPA Exam during busy season. After all, you only have an 18-month window to pass the exam; why not try to use this time to study for part of it? With a few simple strategies to help you manage your time and maximize your efficiency, you can be turning out work reports and achieving your study goals simultaneously. Below, we’ve put together 7 tips on studying for the CPA Exam during busy season to help you come out on the other side ready to pass a section. The foundation of being able to study during busy season is having a schedule that you stick to. Pick a few days out of the week where you commit to one or two hours of studying. Maybe pick a few weeknights and Sunday mornings for CPA review, and develop a routine where you take the time to sit down a get through some of your study materials. What if there was a way to magically have your CPA Review course adapt to your schedule in order to help you study more efficiently? While it may seem like a CPA Exam dream, there are study materials out there that are adaptive and take into account when you can study and how long. They even consider your planned exam date and introduce you to material at a pace consistent with when you can study and when you need to be ready to pass. Surgent’s A.S.A.P. Technology is one of these adaptive study materials, and it has an interactive study planner you fill out before you even start studying. 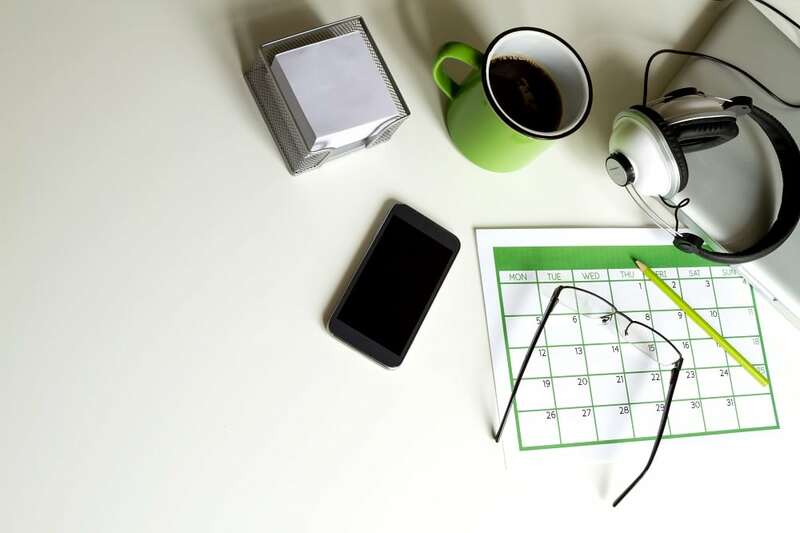 During busy season, plug in the days of the week and amount of time you can study on each day, and you’ll receive study materials on those days designed to help you maximize your study time. On that same note, you can use adaptive learning technology to help you maximize your study efficiency. Adaptive learning helps students build relationships with ideas and has been proven to improve study efficiency, helping students learn more in less time. Surgent’s A.S.A.P. Technology helps candidates pass each part with an average of 95 hours of study, compared to the 200+ hours of study of other review materials. The technology assesses your strengths and weaknesses on each section and delivers study materials to help you develop a strong background in all sections of the exam. With the limited amount of time you have for studying during busy season, it’s imperative you find review materials that reduce your study time and help you retain information so you’re completely prepared to take your exam after (or during) busy season. A good way to make studying a little more fun and a little less of an additional drain on your already busy week is to do it somewhere you enjoy. Instead of sitting at home or studying at work, take your CPA Review materials to a local coffee shop or an airy room in your local library. Find somewhere you can de-stress while you study to make studying less of a bear and more of an escape from the highly trodden busy season areas of work and home. Being social and spending time with people you love is a great way to keep your sanity while you’re working hard and trying to study. While we love working in public accounting, we’re also human, and sometimes we can get a bit overdrawn, especially during busy season. A great way to alleviate some of this stress is to keep your social life during busy season. However, it’s good to set boundaries on this time so you aren’t digging into designated study and work times. Again, the foundation of studying for the CPA Exam during busy season is creating a schedule. Pick one time a week where you spend some time with friends and family and don’t worry about work or study. Saturday nights with friends or Sunday evening dinners with family will help you put your life into perspective and re-motivate you to jump into the next work/study week. Another great help when it comes to spending time with friends and family is to let them know when you’re studying so they know you won’t answer text messages, phone calls or social media interactions. Let them know how important they are to you during your interactions during the week, while also emphasizing how important becoming a CPA is to your career. The key is to find a unique balance of social life and study during busy season in order to reap the benefits of both. There’s no doubt you’re going to learn about your career area during busy season. There is also no doubt that the foundation of your learning is going to be on the CPA Exam. This is a great opportunity to play to your strengths and leverage what you’re learning in the workplace with what you’re learning for your exam. If you’re working in tax during busy season, consider taking REG when busy season is over. Alternatively, if you’re working in audit, you should sign up to take AUD at the beginning of April. Experience is one of the best teachers, and working in your respective field will help you retain information, relate it to your study materials and apply it in an exam setting. Play your career to your advantage, and plan to take a related exam right after busy season. We always feel the most motivated when we’re under the least amount of stress; studying at the end of a long workday can seem as inviting as swimming in Lake Michigan in the middle of February. Usually, a pushback against studying at the end of the day can be easily overcome. However, if you get to the point where you feel 100% burned out, take a break. These are all great ways to give your brain a break and focus on a completely different activity. Studying during busy season can be scary, but by consciously implementing these tips, you can come out on the other end feeling great about passing the next section of the CPA Exam during busy season.